Meander through this picturesque tale about the historic Brighton Baths in this stunning, photographic epic. 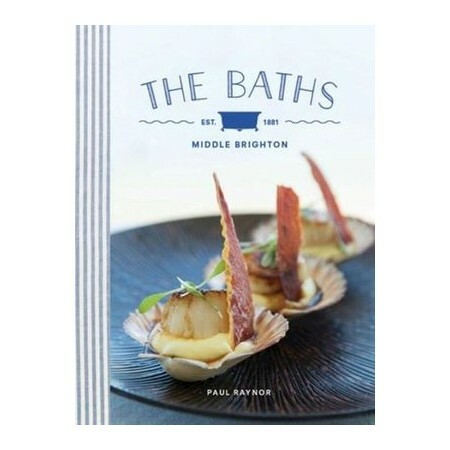 Complete with unique recipes from owner and Head Chef, Paul Raynor, this book not only delivers on recipes for 24/7 dining, it includes stories about Paul's life, the life of The Baths, the history of the venue, and stories about the passionate producers who provide the restaurant with exceptional ingredients. Behind the scene secrets are revealed as Paul opens the doors to his kitchen and staff and introduces you to an exciting underground world that makes up the daily life of this iconic venue.